This is the third year I am going to the faire, and every year it gets bigger and better. With all the MTA metro work on the weekends its always a challenge to get there, but once you reach the New York Hall of Science it’s like entering Willy Wonka’s chocolate factory ! 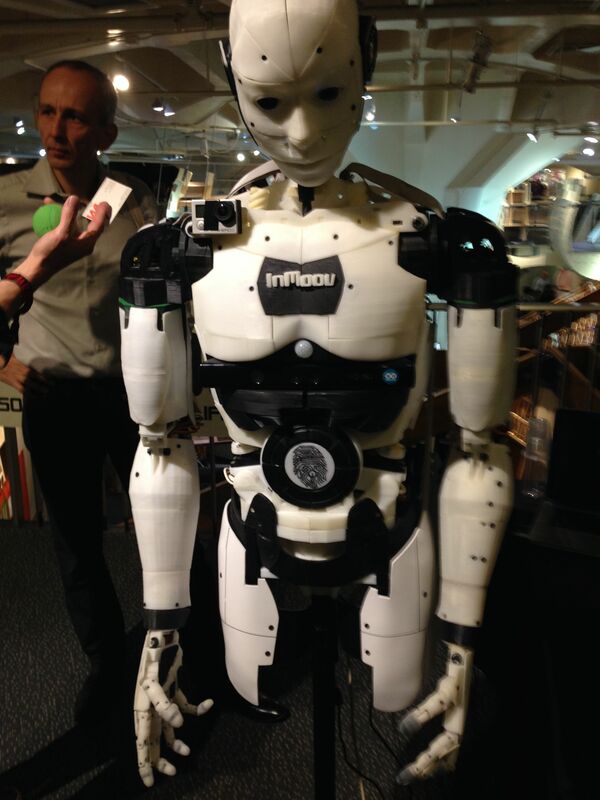 filled with creativity, Robots, Drones and Mentos Fountains making it a geek paradise. 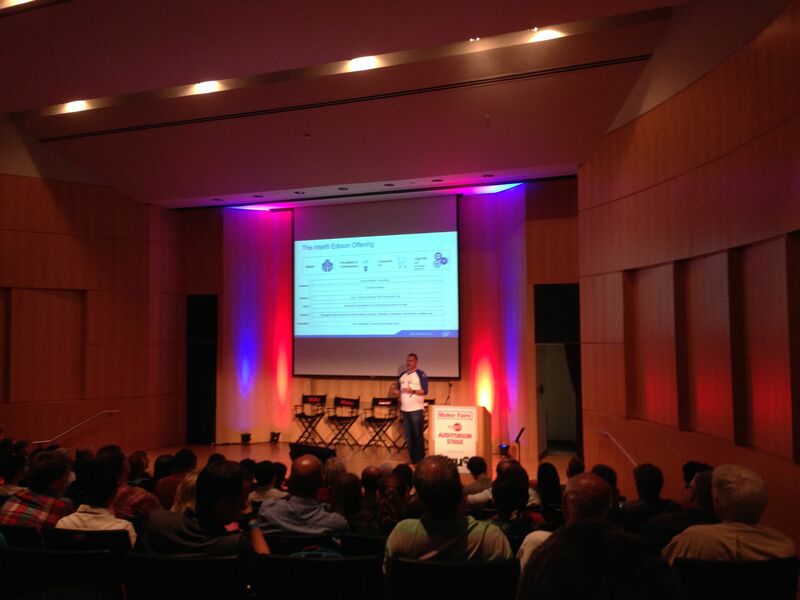 I feel the main highlight was the talk by Jim Chase, the product manager for Intel Edison. Intel is changing the way people look at Iot(Internet of Things) devices with their new Edison platform. A single tiny board computer that runs YOCTO Linux (YOCTO is also IP friendly) on a dual core 500 MHZ processor along with a 100 MHz MCU for real-time operations which is also equipped with Bluetooth 4.0, 1GB ram and 4GB of onboard eMMC memory. But, Intel did not stop with that. They added onboard wifi (FCC certified) and are also launching a cloud infrastructure for all their Iot devices. This would enable companies to directly buy Iot cloud services and cloud analytics from Intel. The Edison is also designed to be fit into products and the company now partners with design firms that can incorporate the Edison into a product design. 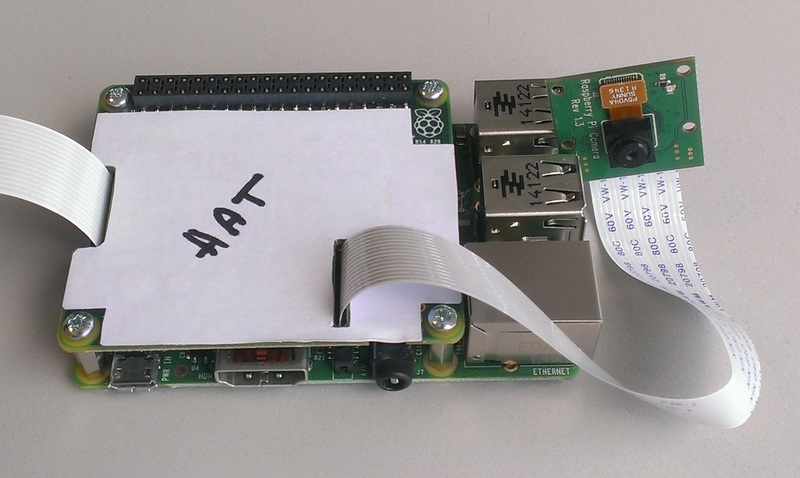 According to James Adams of the Raspberry pi foundation, more and more companies are looking to drop these single board computers into their products . Pi has therefore also come up with compute modules that can directly integrate into products. 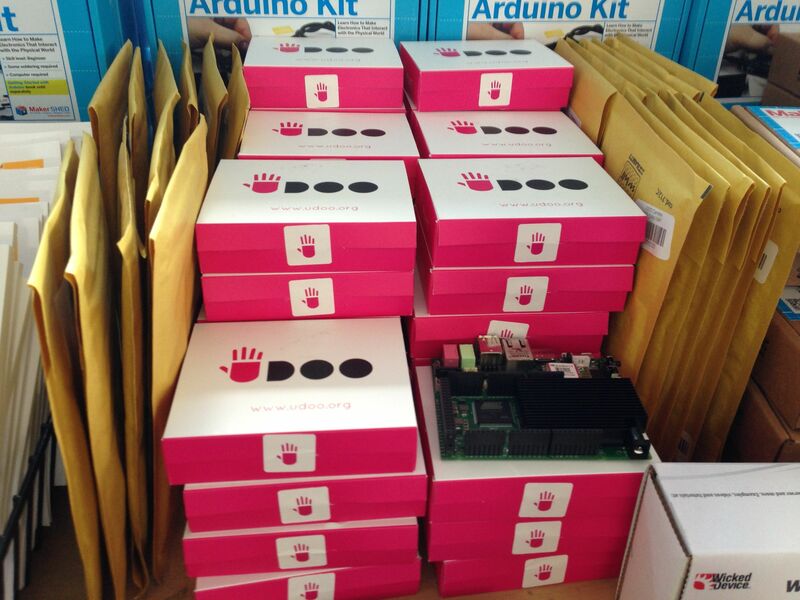 Like the shields from arduino and capes from BeagleBone, Raspberry pi comes up with its very own ‘HATs’. These HATs come with an interesting feature that enables the pi to auto the HAT and configure its hardware settings to work with that HAT. 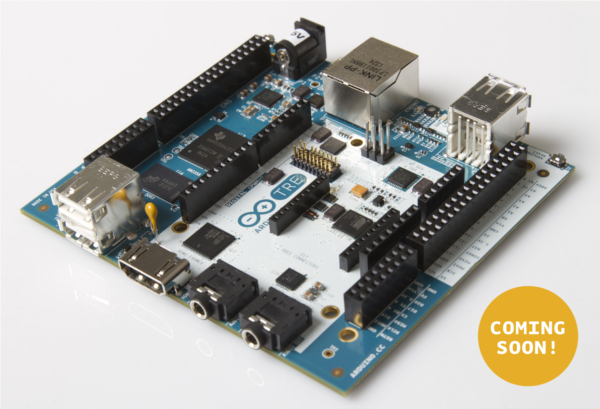 There were a few interesting presentations from the BeagleBoard foundation highlighting the PRUs available on the BeagleBone black and the Arduino Tre Project. The PRUs are microprocessors/co-processors that are connected to the main CPU for on the beaglebone for I/O expansion. There are two PRUs available on the BeagleBone black that run at 100Mhz. Using BOTSPEAK you can program scripts to run on these PRUs for time critical operations. Unfortunately, these PRUs do not support interrupt modes but offer a very low latency and are completely real-time since they have no overhead from the CPU or the OS. Moving on, Belkin is going all in for the Maker community .With their WeMo maker you can now connect your toaster to the internet or program your dryer to send you a message. 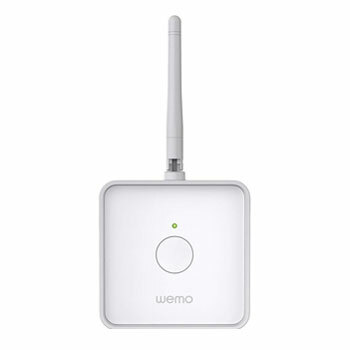 This pro-hacking WeMo maker has one digital input (TTL 5v) and a controllable relay contact that supports a load up to 24 watts. 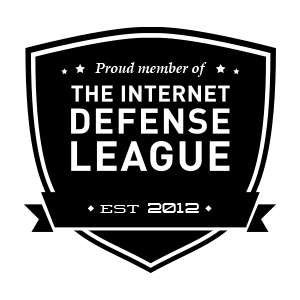 For their next version, they have promised more I/Os and an ADC. The current version is expected to launch on October 15. 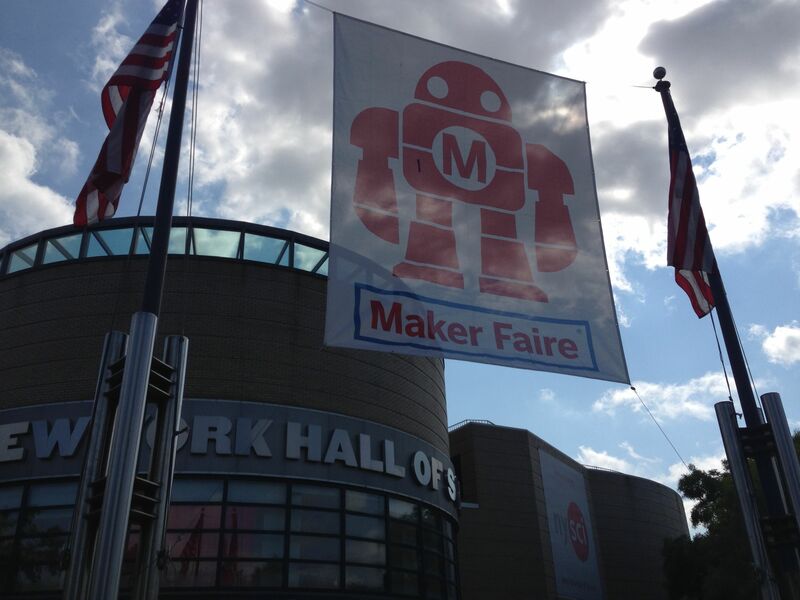 Apart from all these presentations and talks, the Makerfaire was overflowing with interesting projects and ideas. 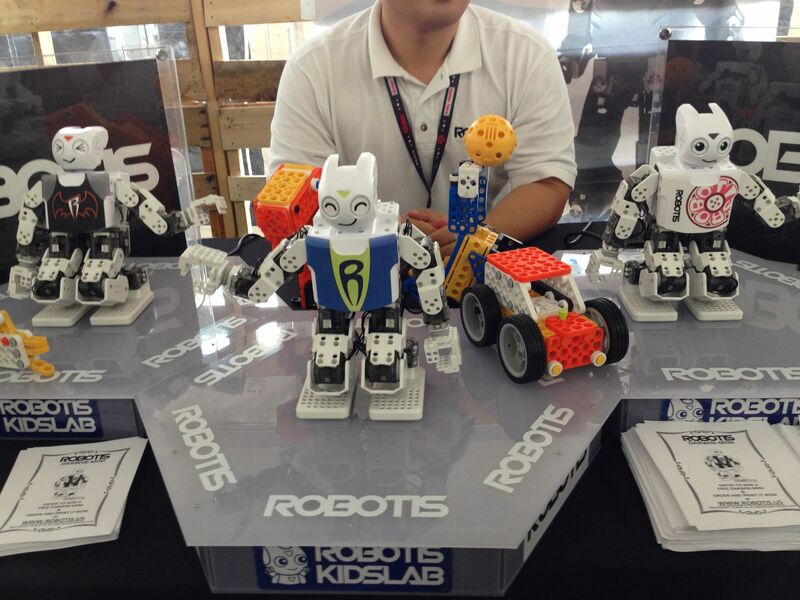 Robotis came up with their mini humanoid robots and smart servos that make building robots easier. These servos cost around 20$ and you can cascade up to 24 servos on one channel and address them independently by using just 3 wires. 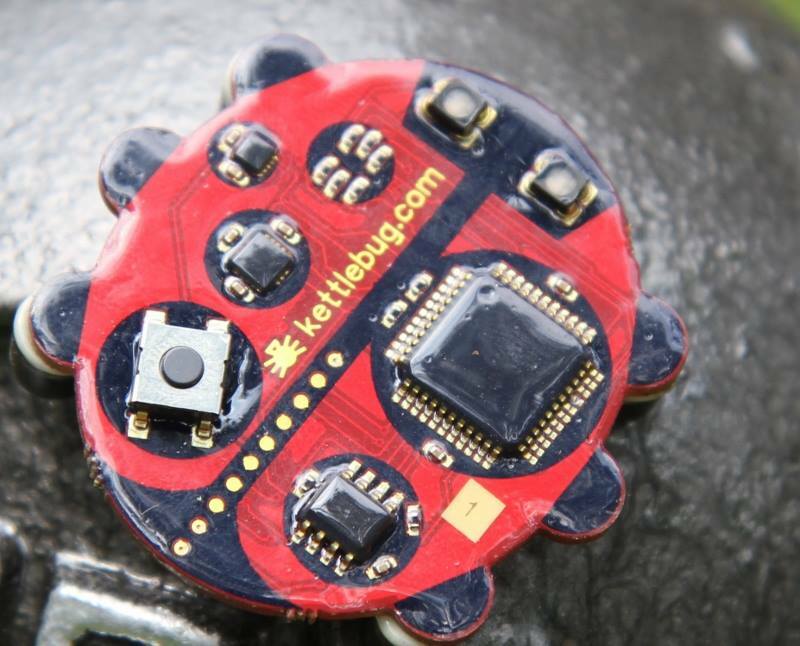 Kettlebug has a new fitness tracker that can monitor the activity of your kettlebell and tell your instructor if you are not doing enough squats ( or may be that was just for me). It was also interesting to see the FirstBuild initiative by GE and Local Motor where you can post ideas for Green technology and GE/Local Motor would build it for you. Interestingly, you also get a royalty for every device sold. The Green Bean project which is a hardware platform that talks to a proprietor GE RF link embedded in all the new GE appliances for diagnostics. Another Interesting product from Carbide Labs was the Pick ‘n Paste machine. 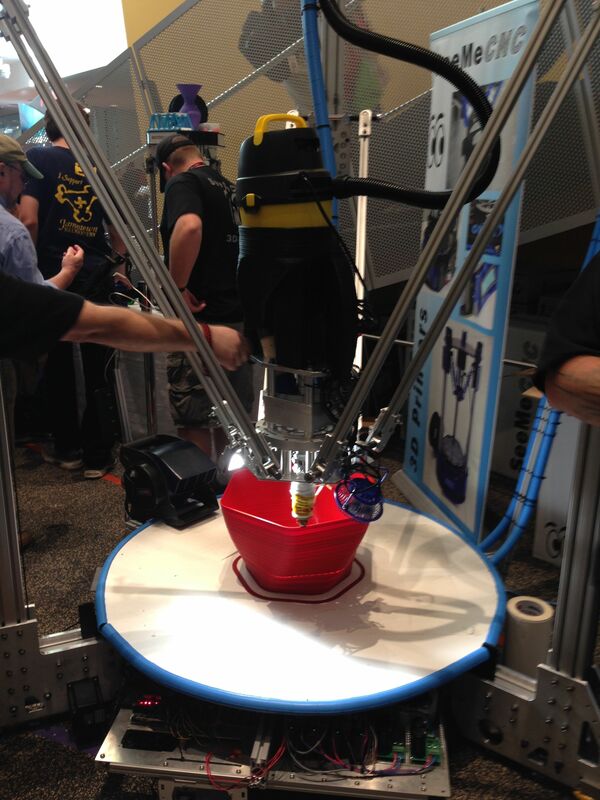 This machine applies solder paste, picks and places passives that are up to 0603 packages and ICs with a 0.8mm pitch. 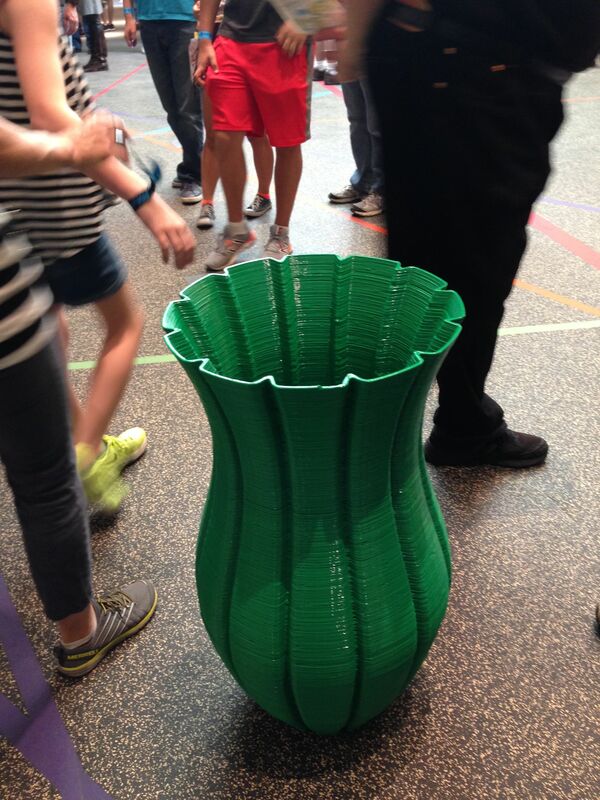 Life sized 3d printed humanoids from InMoove were really cool and so was that big 3d printer that printed flower pots. Dancing Ferro magnetic particle from CHOREOV, and their choreographic algorithms that turn music to dance. 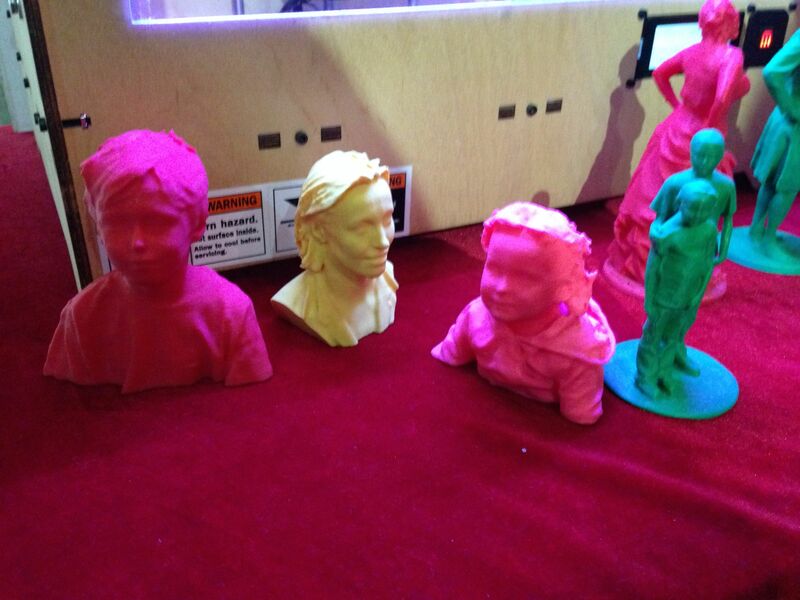 You could also get your figurine built using the SCAN-A-RAMA .Ultimaker had their launch deal where you would get a free 3d doodler. m3d was selling its desktop 3D printer for 349$. 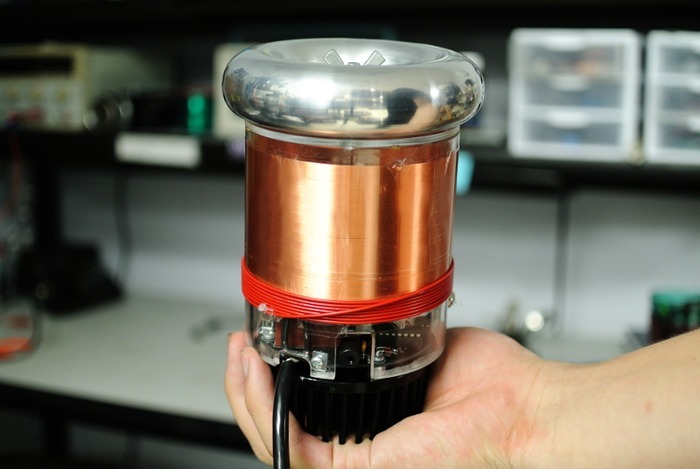 If you came looking from some high voltage projects, OneTesla was hiding in the kickstarter farm with their singing tesla coil. 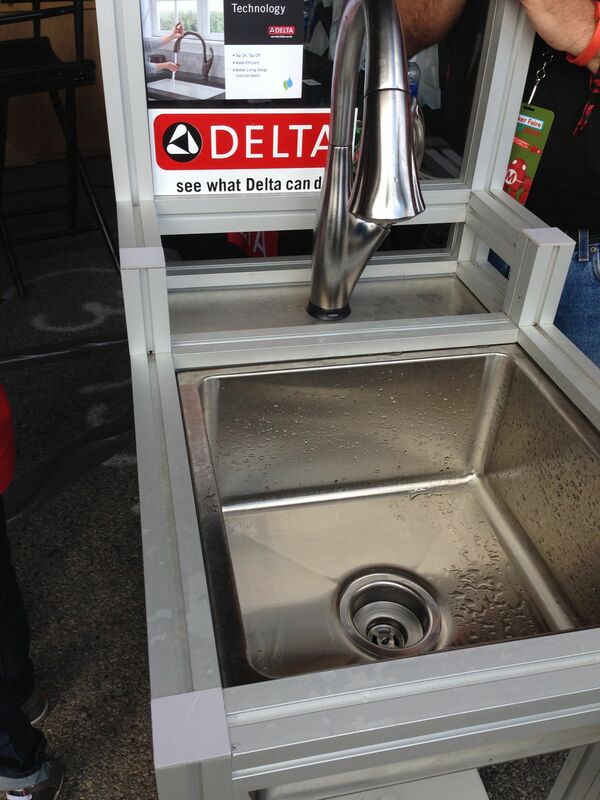 Delta was showing off their innovative faucets and toilets that never get clogged. 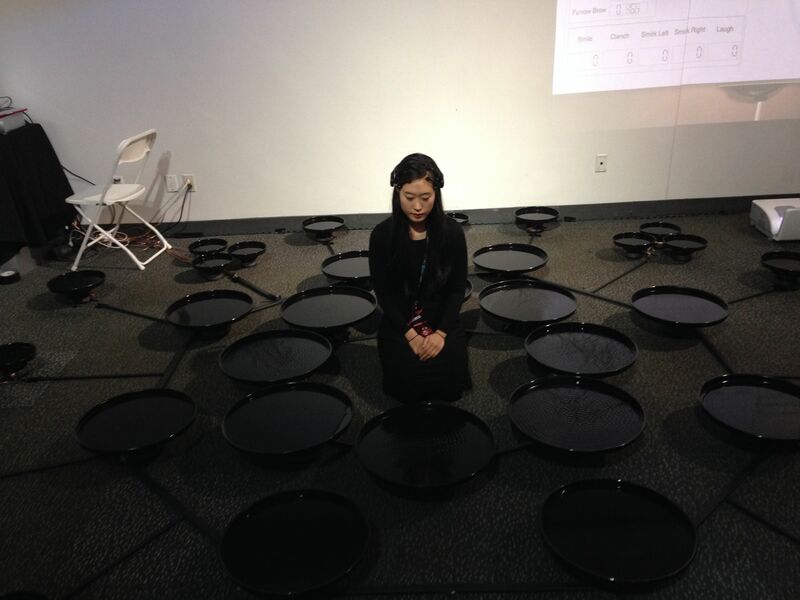 Brain wave generated music by Lisa Park was another crowd favorite. Around 6pm I finally got time to grab lunch. All in all, it was a day well spent and now its time to MAKE…!! This entry was posted in Arduino, DIY, Embedded Software, Embedded Systems, hackerspace, makerfaire, makersapces, open source, Raspberry Pi, Uncategorized and tagged 3D printer, Arduino, Electronics Maker, intel Edison, make, makerfaire, Makerfaire NYC, Makerfaire World, Makerspace, OSHW, raspbery pi, RIoT Board, UDOO. Bookmark the permalink.